Since Oregon began recreational marijuana sales on October 1st, it seems like you can’t walk too far in any direction without running into a dispensary – especially in Portland. Since Oregon began recreational marijuana sales on October 1st, it seems like you can’t walk too far in any direction without running into a dispensary – especially in Portland. In fact, there are now more dispensaries in Oregon than there are McDonald’s or Starbucks locations respectively. 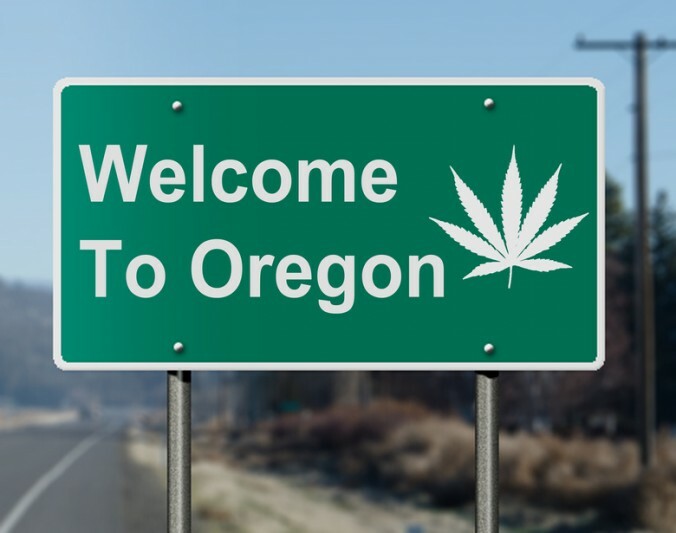 When Oregon legalized recreational marijuana sales in October, they allowed existing medical dispensaries to easily begin selling to recreational customers. On the first day of recreational sales there were 250 dispensaries open to people 21 years and older—compared to Colorado with just 24, and Washington with only 4. Now, with 281 recreational dispensaries,(and more to come when Oregon’s moratorium is lifted in January 2016) there are actually more pot shops in the state than there are McDonald’s or Starbucks. Oregon is home to 205 McDonald’s restaurants and 248 Starbucks. Interestingly, there are over 90 marijuana dispensaries in the city of Portland alone. It appears as though marijuana is more important to Oregon residents than fast food or coffee, and that’s not such a bad thing. In Oregon’s first week of recreational marijuana sales, they generated over $11 million in taxable revenues for the state. This dwarfs the taxes collected from restaurant sales in the state during the same period. Oregon dispensaries provide more to people than just marijuana; they also hold cultural events like weed tastings, art shows, and marijuana education classes. Oregon communities have always supported marijuana legalization, and now that the dispensaries are raking in cash, they are giving back. Despite having less McDonald’s and Starbucks locations than dispensaries, the state of Oregon has the 34th highest adult obesity rate in the nation. This is certainly not a direct result of people eating too many cheeseburgers or lattes, but they certainly do not help. Portland dispensaries are making an effort to encourage healthy sustainable living in their locations. For example, Harborside Health Center recently opened a location near Portland that provides wellness and health classes to its customers. With the money being made in Oregon and other legal states, there is no telling how many dispensaries will open before the market is saturated. However, it is fair to predict that some of the money generated by the dispensaries will be put toward developing local businesses – like new restaurants. Nobody is complaining that there are more dispensaries than McDonald’s, so in the name of health and local commerce, keep the doors open!